The new Audi RS4 Avant is official, Audi has announced their new RS4 at the Frankfurt Motor Show. 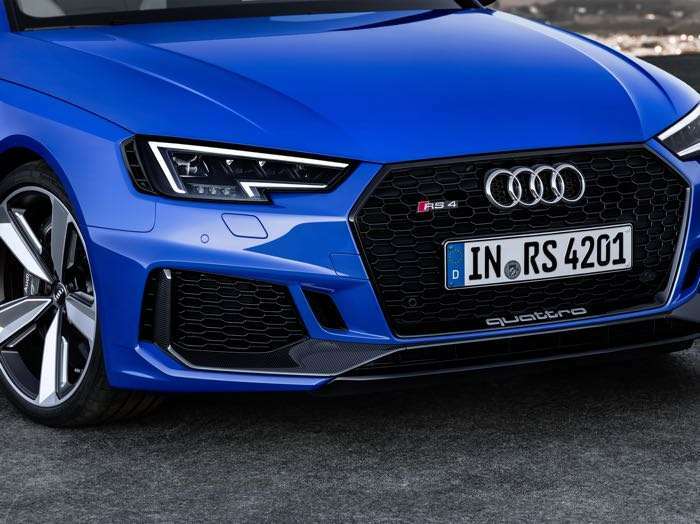 The car comes with the same 2.9 TFSI engine that is found in the Audi RS5 and this gives it an impressive 450 horsepower and 600 Nm of torque. The Audi RS4 Avant comes with some impressive performance for an estate car. It has a 0 to 62 miles per hour time of just 4.1 seconds. The car has a limited top speed of 155 miles per hour. This is increased to 174 miles per hour with the optional RS dynamic package. When creating the fourth generation of the Audi RS 4 Avant, the designers took inspiration from many motorsport details of the Audi 90 quattro IMSA GTO. Massive air inlets with typical RS honeycomb structure and the wide, flat Singleframe grille define the front end. The optional Matrix LED headlights display tinted bezels. Compared to the Audi A4 Avant, the wheel arches are 30 millimeters (1.2 in) wider and are given added emphasis by the quattro blisters. 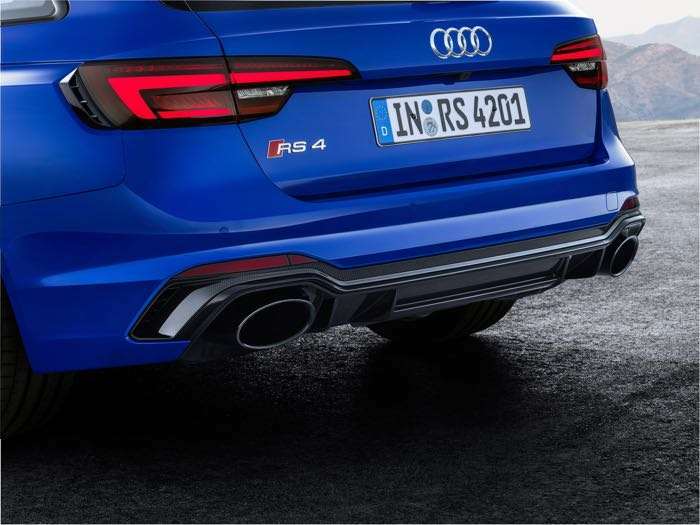 At the rear end, the RS-specific diffuser insert, the oval tailpipes of the RS exhaust system and the RS roof edge spoiler make for a distinctive look. The exterior color Nogaro blue, pearl effect available optionally from Audi exclusive recalls the first generation of the high-performance Avant from 1999. 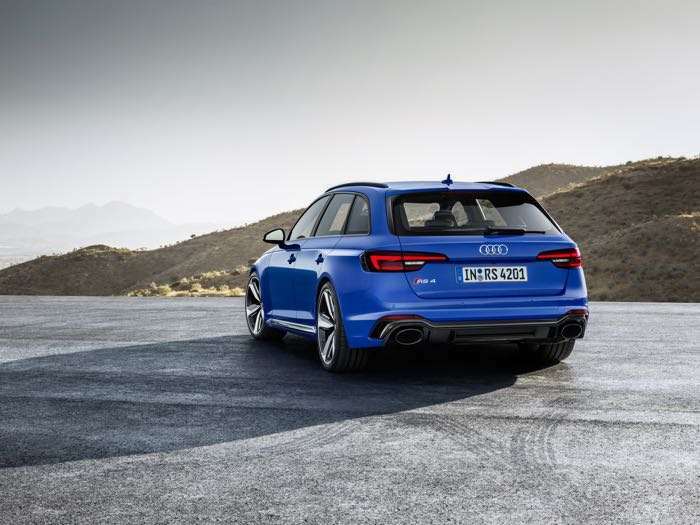 The new Audi RS 4 Avant travels on 19-inch forged aluminum wheels as standard; 20-inch wheels are available as an option. 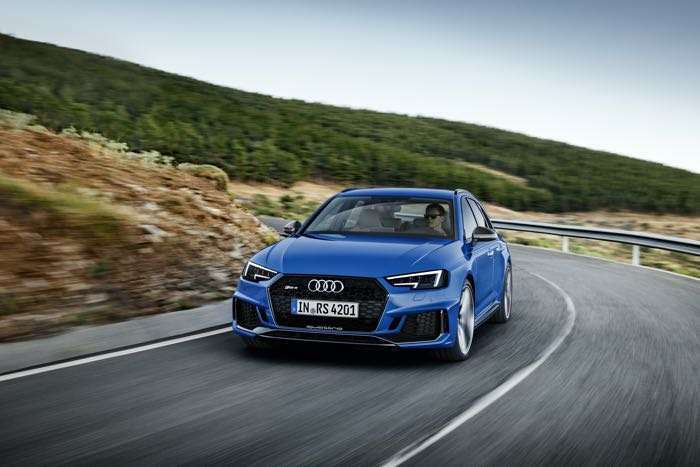 You can find out more information about the new Audi RS4 Avant over at Audi at the link below. It will launch in Germany and other European countries next year, prices start at €79,800.